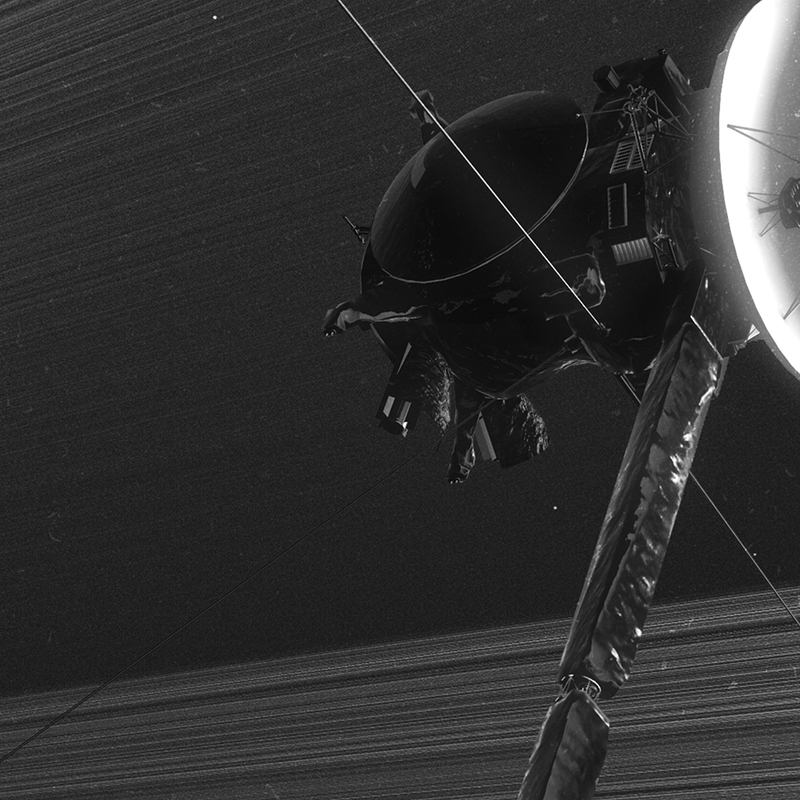 After two decades in space, NASA’s Cassini spacecraft reached the end of its remarkable journey of exploration. 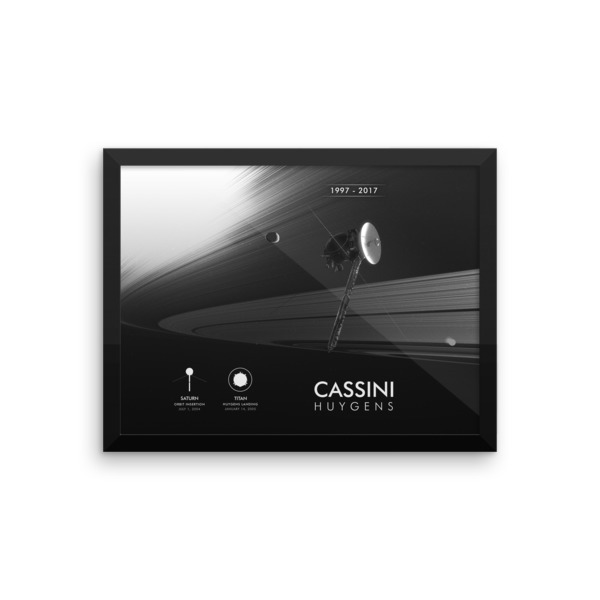 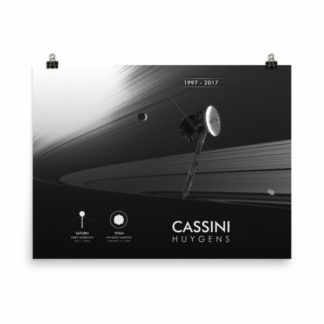 Orbiting the ringed planet Saturn and its numerous moons, the Cassini spacecraft had been a keystone of exploration of the Saturnian system and the properties of gaseous planets in our solar system. 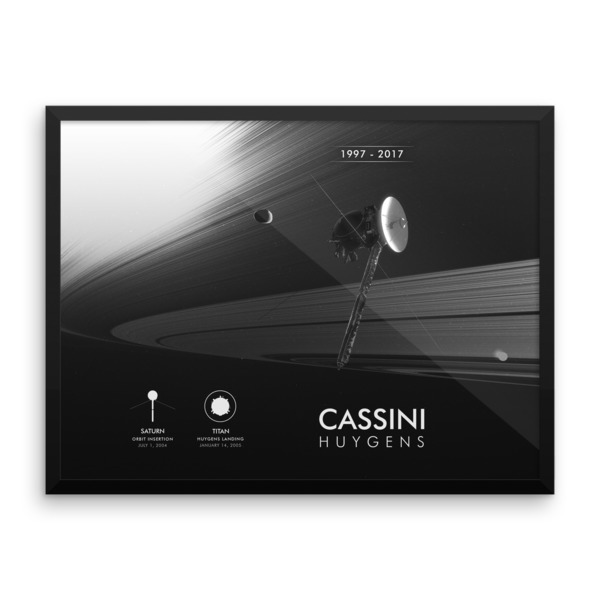 A joint endeavor of NASA, the European Space Agency, or ESA, and the Italian Space Agency, Cassini launched in 1997 along with ESA’s Huygens probe. The spacecraft contributed to studies of Jupiter for six months in 2000 before reaching its destination, Saturn, in 2004 and starting a string of flybys of Saturn’s moons. 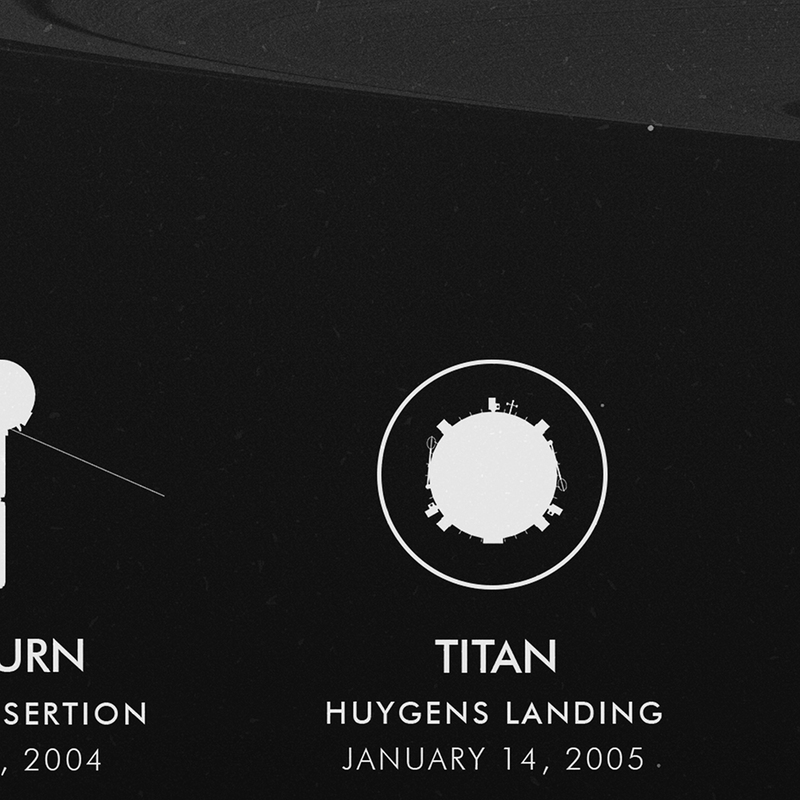 That same year it released the Huygens probe on Saturn’s moon Titan to conduct a study of the moon’s atmosphere and surface composition. In its second extended mission, Cassini made the first observations of a complete seasonal period for Saturn and its moons, flew between the rings and descended into the planet’s atmosphere. 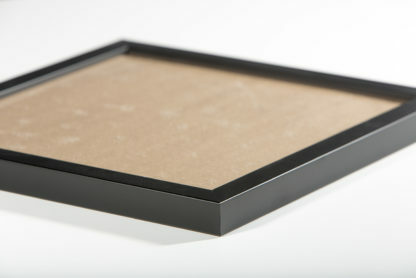 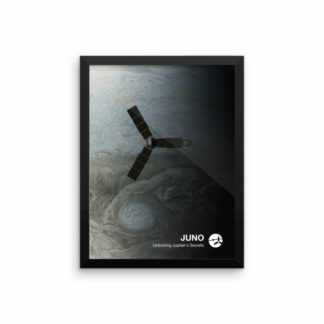 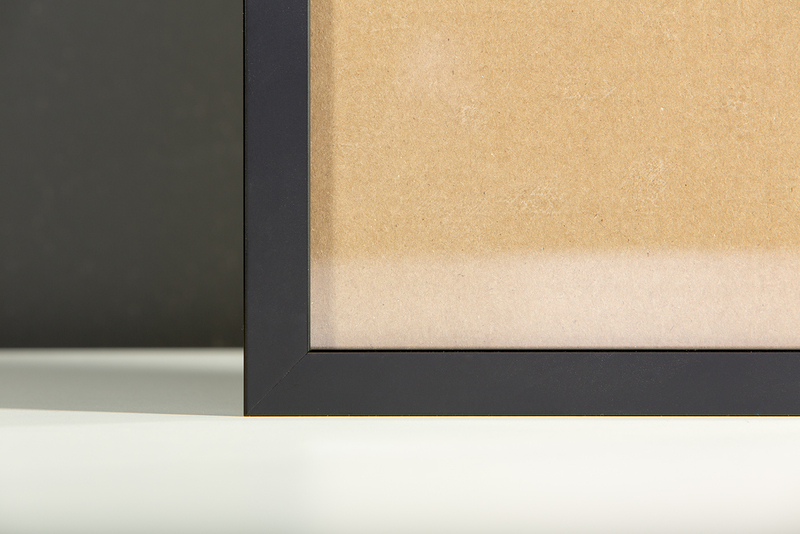 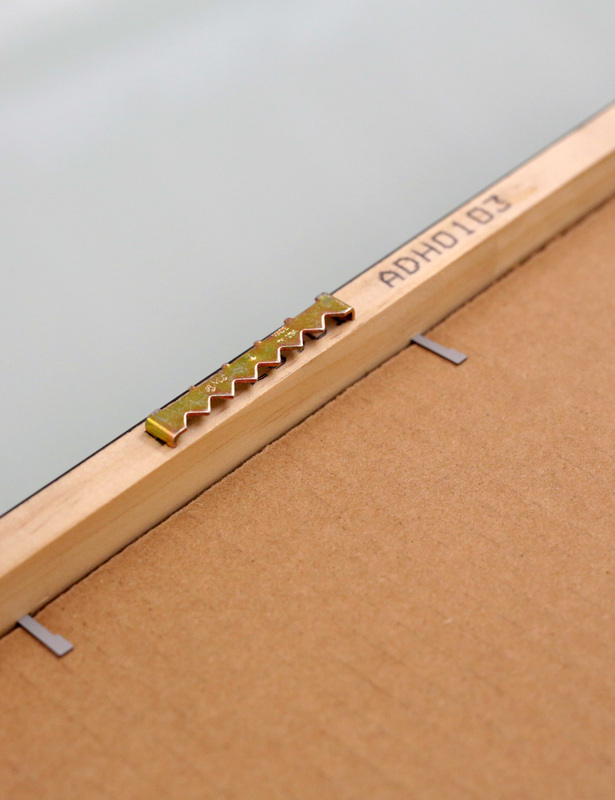 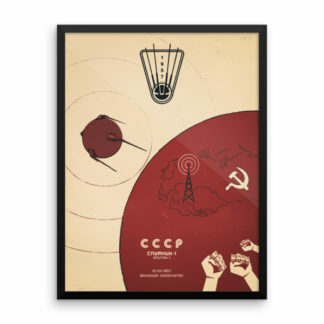 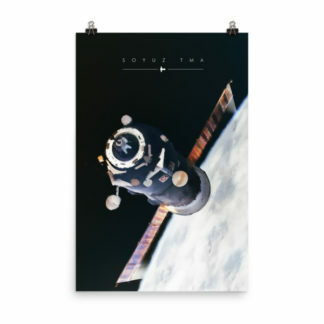 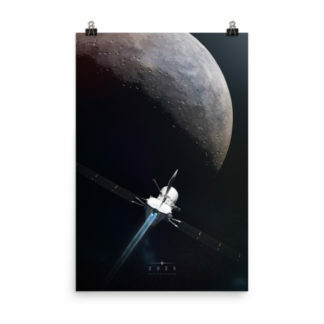 This framed poster printed on high quality paper, with a partly glossy, partly matte finish.